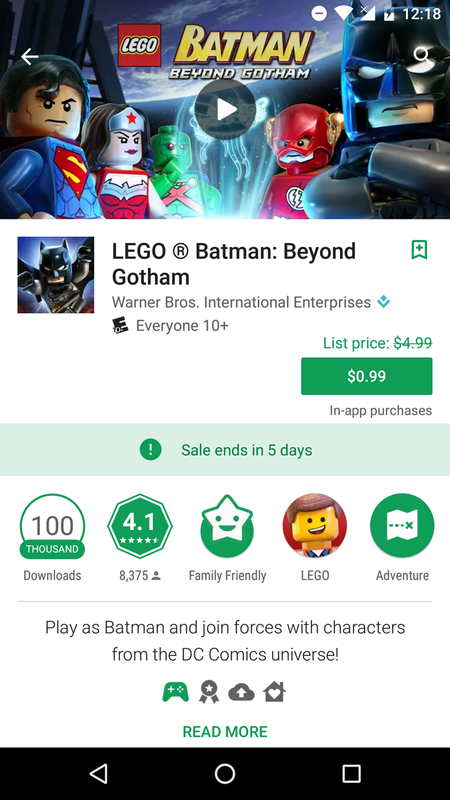 At the moment the changes are visible for a few of LEGO's many Android games, presumably in advance of The LEGO Batman Movie hitting theaters today. 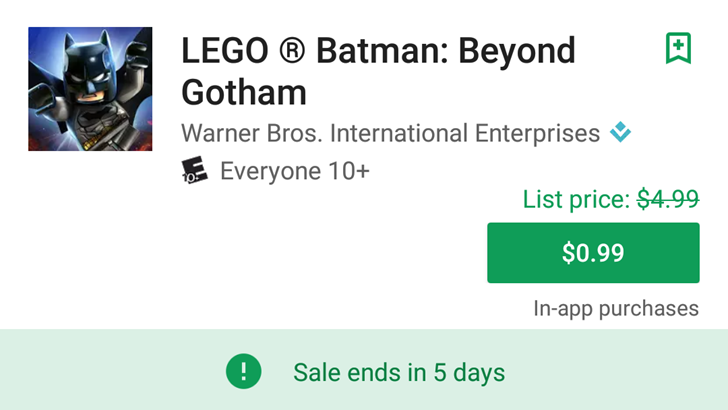 In addition to the promotional price and list price in both the listing itself and search results, the Play Store is showing how long users have until the sale ends, which is something we haven't seen on the entertainment pages. 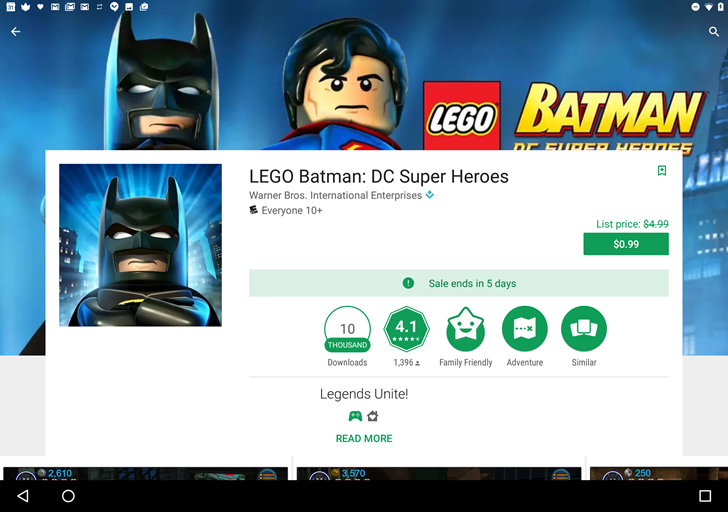 This sort of small visual tweak is often a server-side change, seen by only a small subset of users, but not so in this case. 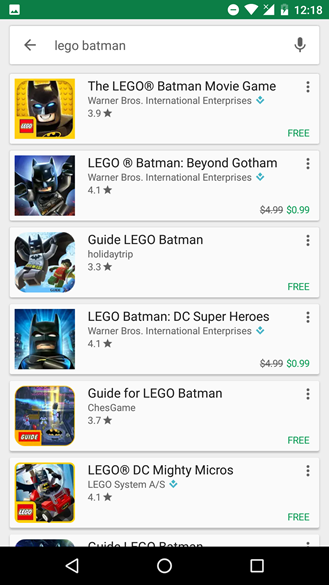 We're seeing the change for all recent devices and Android versions, indicating something out of the ordinary. Perhaps Warner Bros. or LEGO are privy to some new backend promotional features in the Play Store that aren't available to less influential developers. We aren't seeing the new sale/list interface on other apps, even ones that we know are currently on sale. Hopefully the feature will get a wider rollout soon.